Malaysia is packed full of impressive sights, bright cities, and friendly locals. Combine that with a varied landscape that ranges from dense green rainforest and jungles to some of the top islands in the world covered with white sandy beaches. Malaysia is also a clash of different cultures: the country’s three major ethnic groups are Malaysians, Indians and Chinese. Malaysia is one of my favorites countries to backpack in all Southeast Asia. This gives travelers a lot to choose from, whether it’s the various temples and mosques to the various food options. I’ve compiled this list of Malaysia travel tips that will prepare you to explore while helping you set a budget for Malaysia. Malaysia’s peak tourist season starts in late May and goes until early September. During this time, you’ll want to book your hostels or hotels in advance, prearrange your transportation, and buy tickets to sights beforehand. Malaysia is tropical and so it’s hot year-round. The average temperature stays between 70–90F (20–30C). Malaysia also has monsoon season, which is between October and December. During this time the country is less crowded and you don’t melt in the rain, so this is the perfect time to visit. Even for Southeast Asia, Malaysia is considered cheap and if you are smart with your money you can live for as little as $30 a day. Here are some cost-effective backpacking tips that will help keep you from breaking your travel budget. Accommodation Stay in hostels – Hostels are fantastic places to meet other travelers and many hostels are almost as nice as mid-range hotels, but for a fraction of the price. Hostel Dorms – On average the hostels are no more than $10 a night. Private Rooms – Privates rooms are a little more expensive, usually between $15 and $25. I had a private room for a couple nights in the capital city of Kuala Lumpur, and it was $18 per night compared to $13 a night for a dorm. If Malaysia has an abundance of one thing it is different types of food. In almost any main city you’ll find authentic Indian, Chinese, Thai, and of course Malaysian cuisine. Some of my favorites are the mouth-watering curry, satay, and flatbread. One backpacking travel tips you need to listen to is to eat everything, until you move up a belt notch! Street vendors – Street food is your cheapest option. You can get a full meal of chicken and rice, fish curry and countless other dishes for under $3. Local restaurants – Expect to pay a little more when going to local restaurants. Places like Thai and Indian restaurants are pricier but still a good value. The price for these meals will be anywhere from $5 to $8. Of course you can go to expensive restaurants and pay upwards of $30 a meal, but I recommend eating the street food; it’s delicious and won’t break your backpacking budget. Malaysia is 61 percent Muslim, which means that alcohol isn’t as cheap as it is in some other Southeast Asia countries such as Thailand. The nightlife is Malaysia isn’t bad inside the bigger cities, but the parties are much tamer than you would find in other party destinations in Asia. Standard alcohol rules apply. If you’re flying into the country, buy a bottle at duty-free and save some money on tax. Getting around Getting around Malaysia can also be quite cheap. The bus and train systems are nice and can get you anywhere want to go. 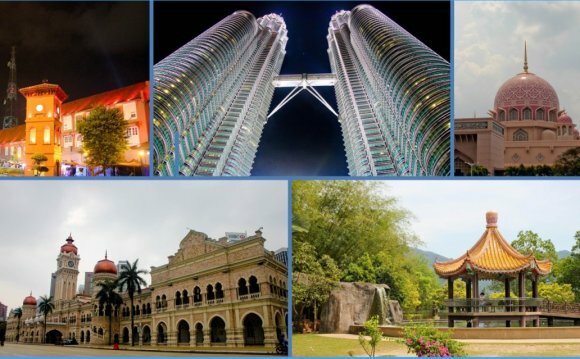 Getting to and from Malaysia – Kuala Lumpur is popular budget airline Air Asia’s main travel hub, which makes it cheap to get to and from Malaysia if you are in the area. Malaysia is also a convient stop if you are trying to get to Singapore. Planes – If you book far enough in advance and research the right flight, you can fly around Malaysia for cheap. Trains – You can take trains anywhere and many of them can be overnight, saving you on a night of accommodation. Buses – One of my top Malaysia travel tips is to use buses. The buses here are some of the nicest ones I have seen in Asia. They are spacious, comfortable, and are also cheaper than trains and planes. Depending on the company and distance, buses range from $5 to $20. The Community Development & Leadership Summit (CDLS) is an annual international summit held for high school juniors. This year it is being held in New Delhi, India. The Modern School is located on Barakhamba Road, New Delhi.